He sends a letter in English, responding to Vidal Quadras' declarations and threats to the European Parliament. The controversy opened in the European Parliament, thanks to the incendiary statements made by the Vice President of the chamber, Alejo Vidal-Quadras, against the process toward the sovereignty of Catalonia, began a new chapter today with the reply sent by CiU's Euro-MP, Ramon Tremosa, whose letter in English to Vidal-Quadras is replete with references, studies, music, and poetry. Among other things, Tremosa recalls the thousands of Catalans that were assassinated, imprisoned or forced into exile during the War of '36 as he refuses to accept the lies that Vidal-Quadras told about Catalan history. Tremosa summarizes the arguments made by Vidal-Quadras in the letter he sent to the Euro-MPs and takes them apart one by one. He explains the current situation of fiscal plundering that Catalonia suffers with respect to Spain and links to the website of the Catdem Foundation where there are articles by Catalan economists that speak of it. The CiU Euro-MP explains that Catalonia's national struggle has always been peaceful and he rejects Vidal-Quadras' categorization of it as "neither peaceful nor democratic". Tremosa says the proof will be in the result that comes out of the elections on November 25th, "when many Catalans will vote in favor of the right to self-determination". He also points out the difference in the reaction of the British and Spanish governments with respect to the desire of having an referendum in Scotland and Catalonia, respectively. In addition, he points out that the only ones who have acted violently historically have been the Spanish Army and the Franco Regime. And he remembers that the Catalan political cause comes from way back. To bolster that claim, Tremosa links to the "Deplorable History of the Catalans", published in London in 1713. Finally, Tremosa attaches a video of the song by Meritxell Gené, of the poem of Màrius Torres "La ciutat llunyana" [The far-off city] and adds the words in English, French, and Spanish. I would like to briefly reply to certain points and disinformation expressed by Vice-President Vidal-Quadras in his public letter sent last Wednesday 3rd of October to all Members, Assistants and Political Groups of this house. 1. - Attached you'll find an official report from the Spanish Government on 2005 fiscal imbalances between regions: on page 17, you'll find the fiscal deficit of Catalonia (net transfers to other regions) of that year: 14,808 M € (8.7% Catalan GDP) following the monetary flow methodology (the strongest to calculate fiscal flows between territories as the economic literature believes). Therefore, to affirm publicly that I am propagating economic fantasies is simply false. 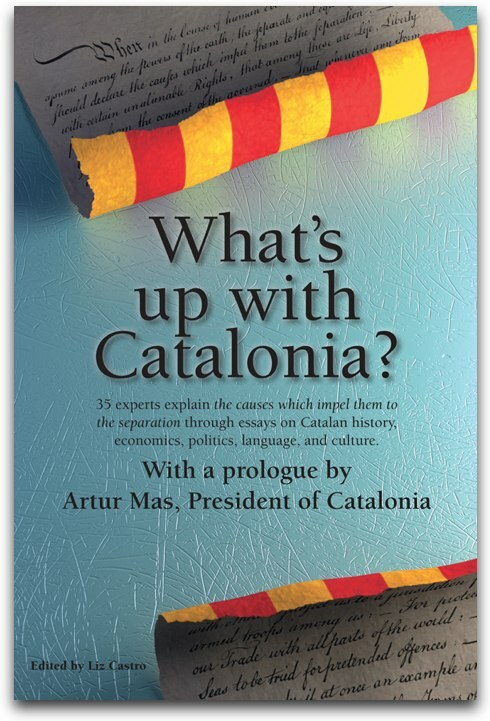 In the webpage of the Think Tank CatDem http://www.it-intransit.eu/?issue=84 you will find articles in English of some of the best Catalan economists, most of them working in American universities. 2. - The Catalan struggle for national recognition has never been violent; therefore, I cannot accept the affirmation that it is "neither pacific nor democratic". We'll see in the Catalan elections on the 25th of November how many Catalans are in favour of exercising the right of self-determination. Last 26th of September the Catalan Parliament voted for it with 84 MPs in favour, 21 MPs against and 27 abstentions. All polls envisage a further fall of the pro-Spanish parties in the next Catalan Parliament. Something curious happened yesterday afternoon. While the Spanish Parliament vetoed a possible referendum in Catalonia, in London, the British government agreed on the conditions for the referendum in Scotland on 2014. In my view; the right to self-determination is more important than independence, and above all, it should be respected. 3. - The ones who acted violently through history, have been the Spanish armies that bomb Barcelona and other Catalan cities for nearly 300 years. The Catalan President Lluís Companys was shot dead by Franco in 1940 after the Gestapo deported him from his exile in Paris. Moreover, Manuel Carrasco Formiguera one of the founders of the Catalan Christian-Democratic Party UDC (from which an MEP is now Member of the EPP) was shot dead by Franco in 1938, bypassing all the pressure in his favour from the Vatican and all the European Christian-Democratic parties of the time. Franco also executed dozens of Catalan and Basque catholic priests, even though he justified his armed rebellion in 1936 against the Spanish Republic as a "crusade against communism". In memoriam of their life and death and that of thousands of Catalans that were killed, imprisoned or exiled in the last Spanish Civil War, I cannot accept the lies of Vice-President Vidal-Quadras on this point. 4. - The Catalan political cause comes from a long time ago. Attached you'll find the link for a booklet published in London in the year 1713 (http://www.llibrevell.cat/wp/the-deplorable-history-of-the-catalans/). Inside you'll find the transcription of the 5 debates that the English Parliament had "on the Catalan case". Catalonia was abandoned by the British army despite the military agreements signed in Geneva between Catalonia and England the year 1713. With constructive and positive spirit, I attach a great Catalan poem from the Catalan author Màrius Torres (1910-1942) "La ciutat llunyana" in English, French and Spanish. It helped Catalan to endure 40 long years of Franco Dictatorship and expresses in a unique way our dream for freedom and democracy. Hereby you'll also find its beautiful musical version by Meritxell Gené.